I hate getting other people's half baked projects. It never ends well. It always starts with a simple -- hey I'll adjust the timing, air up the spare, and drive it...but ends with crap, where the blazes can I get another a double cardan constant velocity u-joint for a Simca? The ONLY reason I'd ever take another project is if the price was really good...yeah...$500...that'll do. 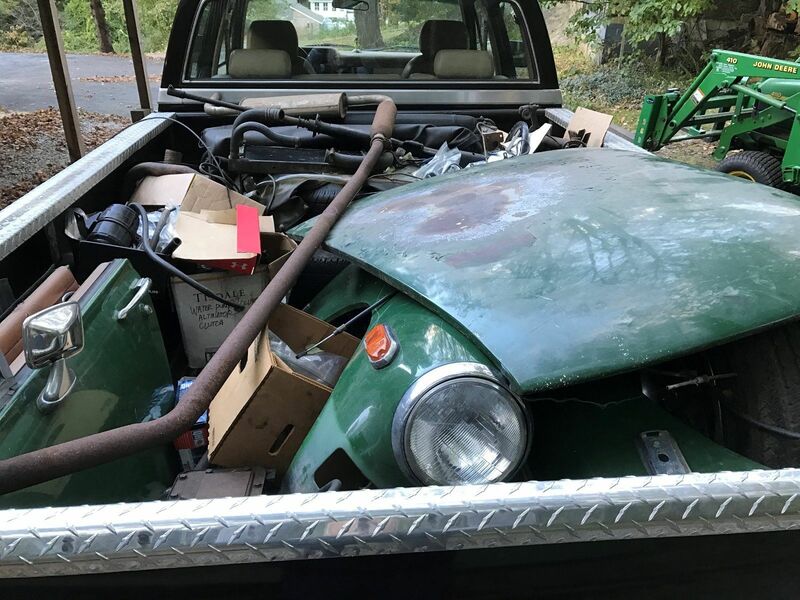 Find this 1978 MG Midget in pieces here on eBay offered for $500 buy-it-now located in Haddam, CT. Here is a nice Rubber bumper MG Midget project. 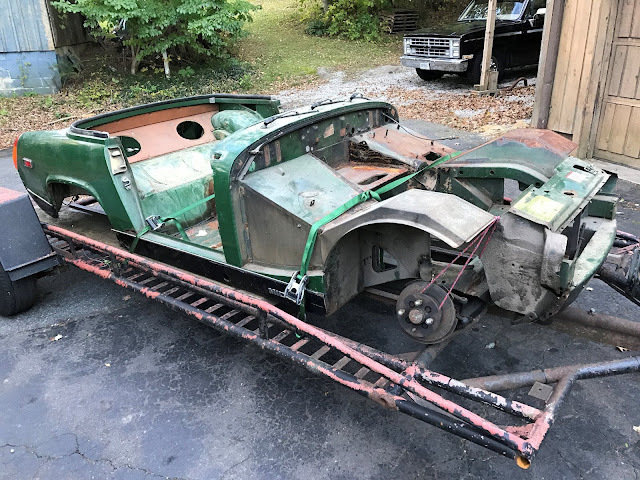 The old owner took the car apart for a restoration. You know what happens then. Everything was bagged and marked. Dash and interior is nice. Not sure of mileage as I packed everything in the car and packed it up for the winter. I am selling with a bill of sale only, as Ct. does not issue titles on cars this old. I might be able to get the old Ct. registration. There are new rockers included, but the only hole is about 2"x4" in size. There are new brake parts and carbs. Motor turns fine and trans shift as it should. Great car for parts or restore. I just don't need another project at the time. Pick up only. I will help load on your trailer. Car is located in Haddam Ct.
OH MY GOD! The big cars are eating the little cars! On this one you don't even need to do the wrenching to part this one out. Seems like you could make your money back selling it off.